Black Tree is a novel set against the background of Arizona. 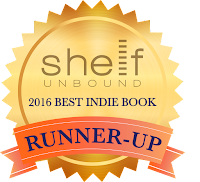 It was a runner-up in the 2016 Shelf Unbound Best Indie Book Competition. You can buy it now from Lulu, Amazon, Barnes & Noble, Apple iBooks, and Book Depository. It's available in paperback, hardcover, and as an eBook. 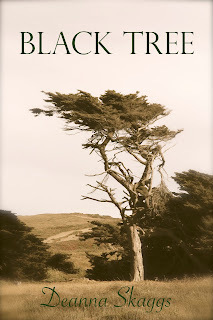 Click here to read the first chapter, and be sure to check out Black Tree's merchandise on Zazzle. To stare at the ocean and yet to crave the desert. To leave home to wander endlessly across the land and yet to be glad. To watch heartache fade away with the new rising of the sun. To see the greatest depths of despair outlined in the very sky and earth—this is the fate of three women unalike in all ways except in their struggles. Abigail is the youngest, Julia is the oldest, and the third has neither age nor name. Their place is the past and the present and the future, and their landscape is the Southwest, which they hold in dearest regard. But to love the land, will that save them or will it be the thing that holds them back from life? Again, here is the link to purchase.